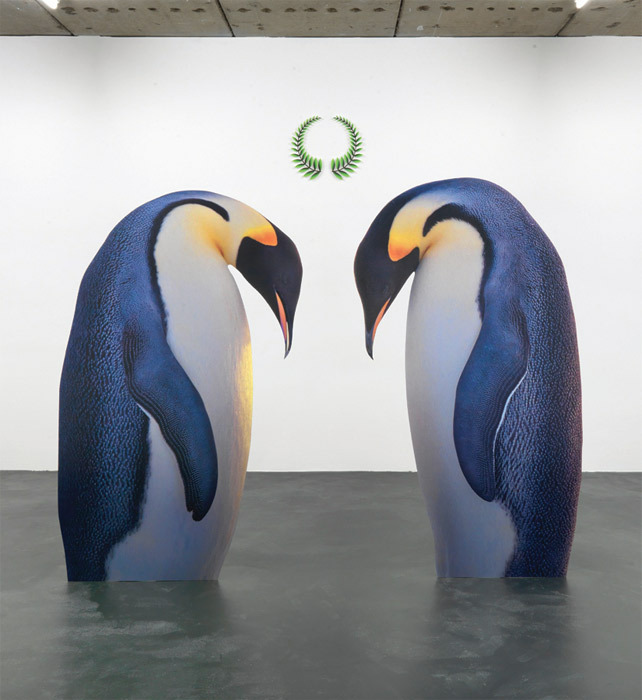 The two most eye-catching objects in Katja Novitskova’s recent show were images of animals mounted on aluminum cutouts: a stately pair of emperor penguins standing across from each other (Approximation I; all works 2012) and the head of a young giraffe nuzzling its mother (Approximation II). Although the former is adapted from an entry to a National Geographic photo competition, this backstory is hardly relevant: Both images have long since dispersed and multiplied online on sites such as Tumblr and Pinterest. 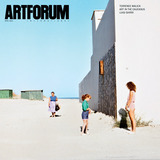 Removed from their original context, they boast an attractivenessas images, which is to say, as sites for affective identificationthat is part of the sustained and radical argument of Novitskova’s exhibition.